Shadow banning on Twitter has been discussed with multiple different conversations attached to it. Whether its political or business oriented, shadow banning has become more and more public in the news lately. Shadow banning was first strategized by internet platforms to limit the reach of a user who is violating a “healthy public discussion” regulation. The user is completely unaware that they have been silenced and the idea was that this type of ban would prevent them from retaliating against the site’s moderators. Regardless of how it personally affects your Twitter, it is important as a marketer and social media user to know about it and how it could affect your business or personal account. 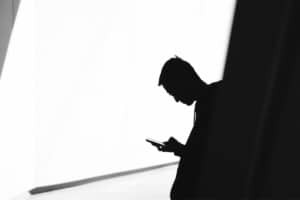 Business Insider suspects that shadow banning was first seen when small internet groups and conversations primarily existed in individual, isolated web forums. “Forum moderators” would keep an eye on individual conversations and if a user was found to be spam or whatnot, rather than simply banning that particular user, a forum moderator would “shadow” ban them. This allowed the user to continue on with their regular activity, like reading and writing posts. However, nobody else in that group could see their posts, or even know that they tried to say something. Basically, that user’s engagement in the group goes completely ghost-like! So is this happening on large social media platforms, such as Twitter and Instagram? It is hard to say. Twitter’s head of product, Kayvon Beykpour, defends the platform and reports that Twitter does not practice any kind of shadow banning and the search issues that caused the controversy in the first place were completely unintentional. The site is looking to create more algorithms to protect what they call “healthy public conversation,” and with that comes some side effects. Overall, the platform has repeatedly wrestled with how to censor harmful and inappropriate discussions on the site. Shadow banning on Twitter is just the start of free speech and online freedom conversations. Social media is seeing a huge increase in business accounts across all platforms, and complying with the guidelines of each platform has become more and more pressing. The best way to make sure you are ready for any new changes to sites and their “healthy public conversation” policies is to stay up to date on current news or hire social media professionals like that at Dapper Goat.